USADA announced today that UFC® athlete Jim Wallhead, of Loughborough, United Kingdom, accepted a nine-month sanction after testing positive for a prohibited substance from a contaminated supplement. Wallhead, 33, tested positive for ostarine and its metabolite following an out-of-competition test conducted on October 7, 2017. Ostarine is a non-Specified Substance in the class of Anabolic Agents and prohibited at all times under the UFC Anti-Doping Policy, which has adopted the World Anti-Doping Agency Prohibited List. Ostarine, also known as MK-2866 and Enobosarm, is a non-FDA approved selective androgen receptor modulator (SARM) that is illegally sold worldwide as a performance-enhancing substance. Ostarine is not currently available as a prescription medication in any country, and its unauthorized use may carry serious side effects. Nonetheless, ostarine has been found as a declared and undeclared ingredient in many dietary supplements, which has prompted the U.S. Food and Drug Administration (FDA) to issue warning letters to specific dietary supplement manufacturers stating that ostarine is an unapproved new drug and that selling the drug is in violation of the Federal Food, Drug, and Cosmetic Act. More information about the risks of ostarine can be found through a USADA athlete advisory. Following notification of his positive test, Wallhead provided USADA with information about a dietary supplement product he was using at the time of the relevant sample collection. Although no prohibited substances were listed on the supplement label, testing conducted on an independently sourced, unopened container of the product by the WADA-accredited laboratory in Salt Lake City, Utah, indicated that it contained ostarine. The presence of an undisclosed prohibited substance in a product is regarded as contamination. Accordingly, the product has since been added to the High Risk List of supplements maintained on USADA’s online dietary supplement safety education and awareness resource – Supplement 411 (www.Supplement411.org). 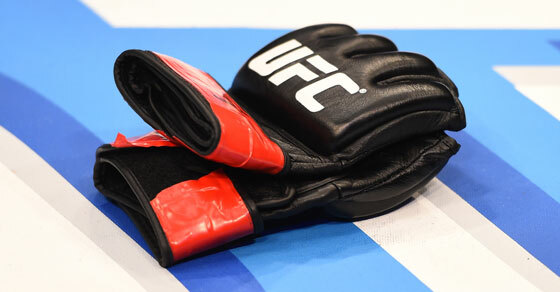 Under the UFC Anti-Doping Policy, as well as the World Anti-Doping Code, a violation caused by a contaminated product may result in a reduced sanction. Where contamination is established, the sanction for a doping offense involving a non-Specified Substance ranges from a reprimand and no period of ineligibility, at a minimum, to a two-year period of ineligibility, at a maximum, depending on the athlete’s degree of fault. Here, USADA took into consideration the circumstances that resulted in Wallhead’s positive test, including his failure to thoroughly research the contaminated supplement, or recognize the increased risk of purchasing a supplement from a supplier that also produces products with prohibited substances. As such, USADA determined that a nine-month period of ineligibility was an appropriate sanction under the rules for his violation. Wallhead’s period of ineligibility began on October 7, 2017, the date his positive sample was collected. Pursuant to the UFC Anti-Doping Policy, all UFC athletes serving a period of ineligibility for an anti-doping policy violation are required to remain in the USADA registered testing pool and make themselves available for testing in order to receive credit for time completed under their sanction. Along with education and testing, robust anti-doping programs enable investigations stemming from tips and whistleblowers. USADA makes available a number of ways to report the abuse of performance-enhancing drugs in sport in an effort to protect clean athletes and promote clean competition. Any tip can be reported using the USADA Play Clean Tip Center, by email at playclean@usada.org, by phone at 1‑877-Play Clean (1-877-752-9253), or by mail.